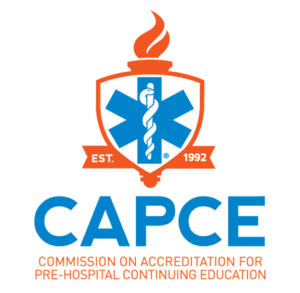 Chief Bouvier is known nationally and internationally as a professional EMS speaker. He began his Fire & EMS career as a volunteer firefighter in 1975 at the Westwego, Louisiana Volunteer Fire Department. That same year he was hired by Monsanto Chemical Company as a firefighter / EMT and in 1982 he became the Fire Chief where he retired in 2012 after serving 37 years. While working at Monsanto, he also worked part-time for New Orleans EMS as an EMT Intermediate where he went on to become a paramedic. 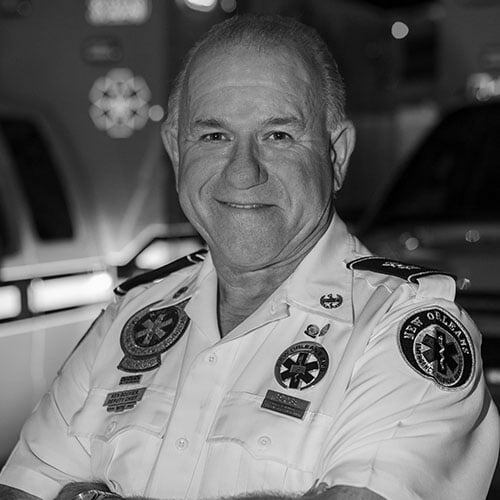 After retirement from Monsanto in 2012 he began working full-time at New Orleans EMS as the Deputy Chief of Operations where he served until he retired in March of 2019. Chief Bouvier while working at New Orleans EMS served as the commander of most New Orleans major events including Mardi Gras, Sugar Bowls and Super Bowls. Chief Bouvier was the recipient of the 1989 National EMT of the Year Award and the 2008 Rocco V. Morando Lifetime Achievement Award. Chief Bouvier served as President of the National Association of Emergency Medical Technicians from 2004-2006. Chief Bouvier has an extensive educational background in both Fire and EMS and has made written contributions in 11 EMS textbooks. He presently serves on the EMS World Editorial Advisory Board since 1998. Today, Chief Bouvier continues to serve both Fire & EMS as a professional speaker & educator.